- The Hold faction - King, Jarl, Thanes, Huscarls and city guards aswell as court people (court mage) or other vassals (The Oprichniki as elite force of King Thian, as discussed on the old forum?). - The local nord clan of a town - Always posing a somewhat autonom entity that may interfer with the hold faction or the empire. - The Greybeards - little interested in mundane affairs, as always? - The Companions - not affected by lycanthropy yet. A group of highly reverred warriors that have little to fear from the fighters guild. - The Silver Hands? - A group of nord warriors sworn to fight werebeasts. Not yet descended into the state of lawlessness seen in TES V.
- The Administrative Court - Proconsul, Praetor and other representatives put into power by the Elder Council and Emperor. Immediately representing the interests of the Empire towards the local nord government. - Imperial Legion - sometimes competing with the hold faction over recruitment of soldiers. The imperial legions rarely interfer in the local conflicts, but have an eye on them. - Imperial Cult - Trying to imperialize the native pantheon? Sometimes struggling with the stubbornness or mistrust of the nords. Attempts at converting Reachmen to imperial beliefs often end deadly for the missionaries. - The Blades - no ideas on them. They probably just watch and report to emperor. They might play a role in a main quest. - Census & Excise Office - Gathering taxes and recording population, ship traffic? Having issues with a chaotic infrastructure and locals that are often little cooperative? Connected to the administrative court. - The Geographical Society - Collaborating with the Winterhold college in the excavation of Saarthal? - Fighters Guild - more present in the imperialized areas. Sometimes in warfare with local nord groups, so they often have difficulties or even fail at establishing themselves. - Mages Guild - Disliked by the nords. They are hardly able to enforce their claimed monopoly over magic teaching and the banishment of reach magic (if it is even still pursued). - Thieves Guild - They can mostly pursue their business unrivaled, easily tricking the very blunt and less smart criminal nord groups. - The East Empire Company - using Haafingar and Winterhold as trading ports. Making treaties with nord rulers of the port towns they enter for better conditions. Severely damaging the business of traditional nord traders that used to sail across Tamriel. - Other imperial guilds/companies? - A brewer guild competing with the local nord brewers? - The insurgent faction, whose name I forgot about - Existing in many small local groups, trying to harm the nord rulers by guerilla warfare. Cooperating with the thieves guild in Karthwasten. - Crown nobility - Interested in regaining the land lost in the War of Bendr Mahk, thus secretly supporting the insurgent faction, but not daring an open conflict yet. - Reachmen tribes - Attitude towards outsiders and degree of hostility can vary greatly. Some live on hunting and gathering, other tribes perform agriculture. Feared by people living in towns. - Orc tribes - Some nomadic tribes living scattered around the Reach and possibly Falkreath and Haafinheim. Sometimes hostile to outsiders, sometimes hired as mercenaries. They rarely fight with the other races, but may have warfare among themselves after founding of New Orsinium and some orcs still sticking to Malacath, while others believe Gortwog gro-Nagorms. - Nomadic/Barbaric nord clans - more present in the central parts of the province. - College of the Voice - as discussed. - Winterhold College - little conflict with the mages guild. They have little claim over what happens outside of the walls of their building and are more focused on theoretical studies and less on practise of magic. Very narrow-minded and traditional, rarely sparking major innovations. Better accepted than the mages guild. - Bard College of Haafingar - As other colleges having a strong sense for tradition and teaching strict verse forms and songs of old. More open-minded than the other colleges, though. - Dark Brotherhood - no idea yet. - Vampire Clans (Volkihar, among others) - there should be a strong presence in haafingar with a clan that used to be involved in the ambitions of the wolf queen. For new Imperial guilds, there are a number of options in P:C's faction topic. There is an influential Vintner Guild operating from Skingrad. How about making the Oprichniki (the elite guard of king thian) vampires? The Oprichniki could be the same or successors of the vampires that sided with Queen Potema against the Empire. Either these vampires remained in the service of the successors of Queen Potema or Thian himself or one of his predecessors sought their alliance again and they now have influence on him, possibly explaining some of his seeming hostility. Also, Oprichniki works extremely well as a name for a vampire clan. 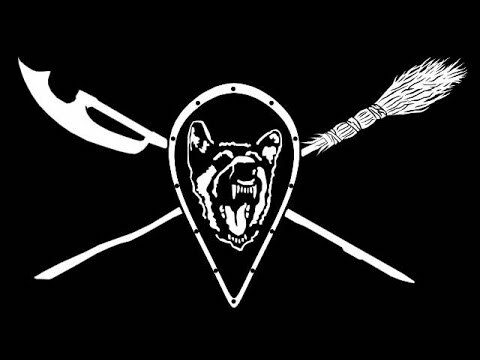 Also, the name of organisation is Oprichnina (Опричинина) - Oprichniks (Опричники) is the name for members. Parliament of the advisers - Boyarian Duma (duma today name for russian federation senat) Boyarin - member of duma (Dumat' - Thinking on russian). 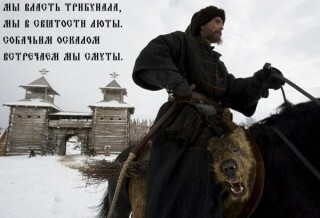 The power of Tsar is limited. 1.Zemshyna (Zemlya - land, Earth, dirt) - Lands, in which the power of feudal lords retained. 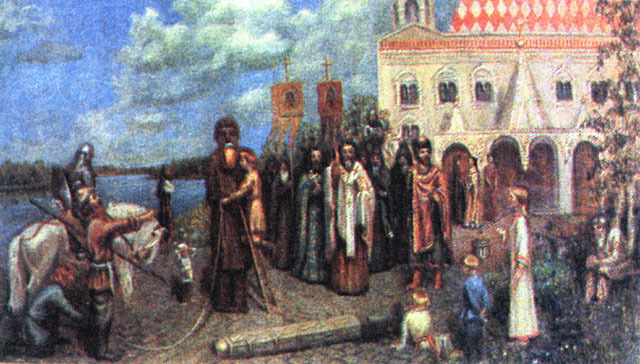 2.Oprichnina (Oprich - in old russian "elite" or something) - Lands, where Tsar and only he is lord. But all of this is an the late Middle Ages. 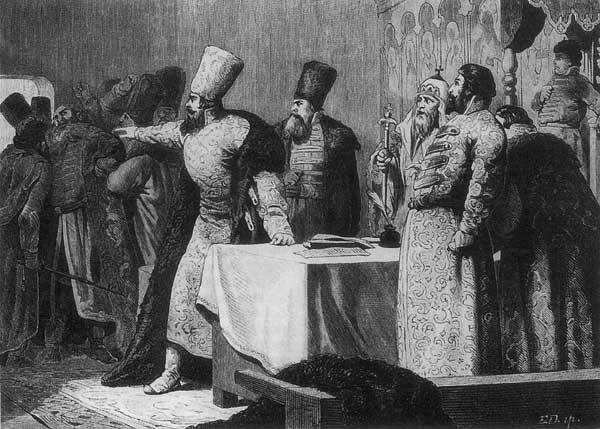 Before it was Novgorod Republic, for example. 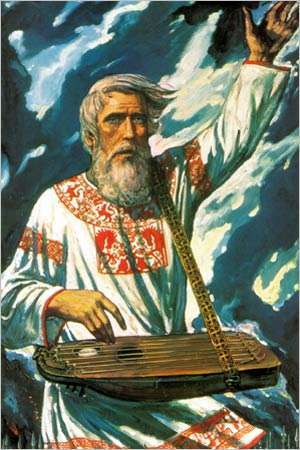 There as in the Roman republic - Knyaz (Knyaz~Jarl in Skyrim) was a military leader, the power belonged to the boyars (boyar duma in novgorod called "300 gold belt" and the veche (meeting of all residents of the city). Nice. I didn't know the name of the faction had been taken from real history. I'm not sure, if keeping the name is such a great idea then. I would rather avoid looking too uninformed to outsiders (which is apparently the case with me, at least ). The name came up at a point when people were interested in some russian influence for the Nords, but I didn't realise that it had been the name of a past real world organisation. My bad. But at least we didn't yet manage to do another 'Dai-Katana', so we are still in the safe zone, I suppose. Edit: I have kept Oprichniki in memory for a long time, because I found the name to be rather fancy and unusual, yet fitting for something nordic. It is even possible that Oprichniks or Oprichnina were the original referred names in the early days of the project. 'Oprichniki' is merely what stuck in my memory. My opinion, this name can not be used. 1.Oprichnina - the name of a specific organization of the real world. With a terrible reputation. This is like fraction who calls "Nazi Gestapo". 2.Oprichnina was in 1565—1572, this is not quite approach the Skyrim style, different time period. 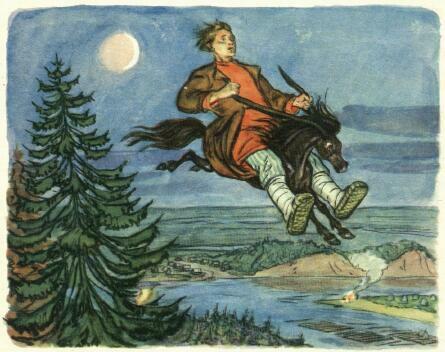 1.Base on russian fantasy of XIX century. Such characters like: Koshey (kost' - bone) - a great undead wizard-king. In game he possible can be a Draugr.
) - a nordic nation that conquered the Slavs (in the legend, the Slavs themselves called them to rule). Drujina - army of Knyaz. Pre-Christian religion: primitive totems, called idols http://чуры.рф/system_files_qwert/Panteon3.jpg personified gods. Gods was Perun (like Thor and Zeus), Dajdbog (bog - god on Russian) Svarog (was goa'uld in stargate TV series in real life was god-smith) Veles. Rod - (like akatosh. Writer of fate) "our life wrote by Rod", "that Rod wrote" synonym to "fate"
Typical pre-christian holidays: Maslynetsa (Maslo - butter) - Carnival in spring. At this time, bake pancakes, organize fairs. At the end of carnival burning a straw effigy. 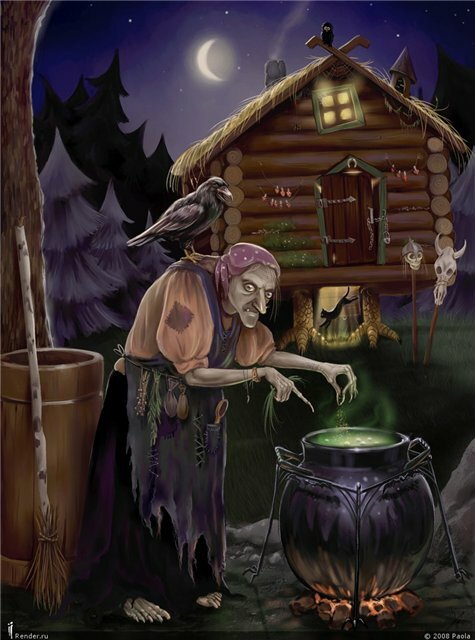 Kolyada - mix of Holyday and Hallowen in January. Childrens go from house to house asking for candy. Young people walking on the streets and singing the songs. I like the historical inspiration. I think we should include them, but I agree - only with a new name. A secretive organization formed sometime during King Thians ascendancy, but with roots in the ancient and terrible Oprechnik vampire clans that sided with Queen Potema in the War of the Red Diamond. They act both as an elite guard for the King, and as his spy network. They are employed in shady deals like spionage and counterspionage, public executions, assassionations, and annectations of various areas in the Kings name. The organization is ruled by a core group of vampires, though this is a well kept secret. The majority of the members are cutthroats, mercenaries and prized assassins; many of whom are previously responsible for heinous acts all across Tamriel. They are feared all across Haafinheim-Dawnstar, and their spy network is said to be present in every nook and corner of Haafingar - from the seediest dockside tavern to the wealthy tradehouses. Yes, there are many other factions in Skyrim. The Hörmes are the partisans of Potema and Uriel III in the Third Era. They are bandits who attack the Imperial interests in Skyrim, especially in Whiterun Hold. The Hörmes consider Cephorus Septim I and all his successors as usurpers. I think the necromancers who wake up Potema in TES V may be Hörmes. According the PGE3, the Ysmir Collective is a "library" which survive some destruction and established in the College of Winterhold. According OBSD, it's also an scholar organisation tied to the Talos Cult. I believe they are Nord scholars, who worship Ysmir Dragon of the North, the Nordic face of Talos. 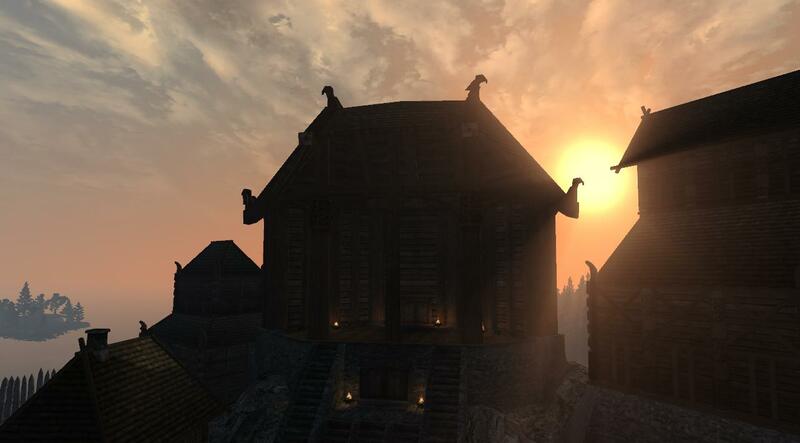 Built in Markarth by Tiber Septim after the conquest of the Reach by Cuhlecain and his own accession in Cyrodiil, the Imperial College of the Voice, led by a Grand Master, is a place to form Tongues in the Imperial Legion. I know Worsas indicated it, but I advise it's an Imperial organisation. Where do you have that bit about the Hörme being the partisans of Potema and Uriel III from? If we can assume that they were vassals of Queen Potema, that would open a new perspective, indeed. It would make relations to the discussed vampire clan very much possible, at least. Would it be reasonable to assume that the frost trolls attacking Whiterun in the same time period are kept and trained by the hörme, similar to what the Dawnguard does in TES V? Are the Hörme allies of King Thian? Could they even act as a kind of police force for him, like in our old Oprichniki concept, basically replacing the latter? As for the Ysmir Collective, i just thought it was part of the College of Winterhold like in TES V with relatively little importance of its own. Thanks for the additional insights there! In any case, we may consider the College of the Voice to be meaningful for the Red Templars, as they were using the power of the voice, apparently. Together with the stuff going on in the Ysmir Collective, the Hörme movement, this would give a bit of potential for a lot of talos-hype throughout the province. Skyrim just seems to be the place for that thing. The Hörme are an anti-Imperial faction/underground movement, though in reality they are a collection of both Talos-fundamentalist Nord agents as well as common brigands and highwaymen drawn by the promise of loot of raiding. In the countryside they raid villages and Imperial holdings (forts, camps, patrols), as well as caravans no matter the race of the merchant. They have begun attacking the outskirts of White Run as well, and are doing so in increasing frequency, torching nearby villages and farms to the ground. On the plains near White Run they attack on horseback, swiftly drawing back whenever the White Run guard gets a proper defense organized. In the hills and mountainous areas they utilize guerilla-style combat, and can dissappear into the hills in no time, making it hard for the legionaires to fight them. They mainly hide in the mountains and hills west of White Run, as well as the mountains south of, preying on caravan routes to Cyrodiil and beyond. They have an underground presence in White Run (though figuratively underground, not in tunnels again.) Hörme agents are also present in Markarth Side, Haafingar, Dunstiorr, Falkreath, Windhelm and Riften where they spread dissent, anti-Septim propaganda and recruit new members. A list of eight prominent agents are wanted in White Run, with a large reward for their capture (2,000 drakes per head). Half of them are hidden in various basements and lofts in the city, the other half are in the wilderness. The faction supports Thian's rise to power, as he claims distant heritage to Potema. In return they are not persecuted in Haafinheim or Dunstiorr, something which has stirred quite a few diplomatic troubles (though not more so than Thian's general disdain for Imperial authority). They want to see him crowned High King (and eventually Emperor), though they think he should forge his empire in blood rather than by diplomacy and lawful claims. You're welcome. I believe the confusion between the Ysmir Collective and the Arcanaeum in the College of Winterhold is popularized by the UESP, which logically interpret the PGE3 and the informations of TES V. They are right, but the UESP doesn't take on board OBSD. About the Hörmes, all our informations are taken from the PGE3. I think the word "Hörme" is not used in TES V. In the third era, if Cyrodiil has been the heart of the Empire, Skyrim has been its strong arm. The greatest threat to the Empire's unity occured in the 120th year, when the so-called Wolf Queen of Solitude, Potema, aunt of the Empress Kintyra, launched a rebellion that became a blood civil war. Though it was eventually quelled, the repercussions are evident to this day. There is a strong underground movement called the Horme that believes Potema and her deposed son of Uriel III to be the last of Tiber Septim's true blood and under that principle lead raids against Imperial interests in the province. Hrothgar and Whiterun have not been as fortunate as their coastal northern cousins. A dynastic feud, attacks by Hörme bandits and frost trolls, and a series of annihilating winters of alternating floods, droughts, and fires has crippled the area that was once considered the Imperial City of Skyrim. The population blamed and then curiously exalted the leader of the local witches' coven, Jsashe, a self-proclaimed priestess of Lorkhan. The Witch-Queen of Whiterun, as she is called, now wields effective control of the county, though her magic has not brought it prosperity as of yet. I enjoy the idea Hörmes are agents of King Thian, successor of Potema on the Solitude throne and a rival of Emperor Uriel VII (I remember Thian annexed Roscrea, an Emperor's holding). The Hörmes are considered as bandits in the PGE3, but it can be Imperial propaganda, or King Thian gave them up between 3E 427 and 3E 432. The idea that they use trained frost trolls against Whiterun is good. I have not contemplated this idea, but that's true: trolls may be trained, as seen in Dawnguard. In TES V, the necromancers who awake Potema are not Vampires, but we can change the Hörmes into Vampires who directly served Potema in the War of the Red Diamond , especially for the high rank chiefs. Hörmes can be Talos-fundamentalist Nord agents, true. For information, in the French translation, the word "secte" ("cult" in English) is used in the PGE3 to designate the Hörmes. We can tie the Hörmes to the Talos Cult, which believes the Emperor must be a strong military chief, contrary to Uriel VII. I regret the too simple worship of Talos in TES V. In Bordeciel, it may be have the Tiber Septim worship, the Nine Divines worship, the Ysmir worship, and all the organisations tied to these: Order of Talos, Stormcloacks, College of the Voice, Red Templars, Ysmir Collective, Talos Cult, Order of Hjalti (revealed in OBSD, but I think it's more present in High Rock, maybe in the Reach), perhaps the Hörmes, etc. In TES V, there is only the Imperial Cult, that's all. I picture it as a pseudo-Nordic Imperial institution, a place where Colovian nobles send their sons to soak up some Nordic culture, with a few Nords as well but mostly foreign students. It serves as both a military academy and a scholarly school focused with the history and various elements of the voice. The college of the voice was built at the beginning of the third era, and the next centuries saw an influx of Imperial citizens to the city. One thing that I think would be awesome is a sort of Imperial Cult, but rather than the Nine Divines being worshipped, the Nordic Pantheon would be worshipped. Thats one thing missing in Skyrim that would be cool, and it can be easily fit in here (It would only make sense that Nords would follow their gods in their home land). I think it would be cool to see a Talos Cult too. Perhaps you couldn't join them, but they would be extremists that would get in the Nordic Cults. Since the Empire doesn't allow the worship of other gods, you could see an opposing faction, and the Nordic Cult wouldn't opperate in the same way the Imperial Cult does. You could have quests to spread the word of Ysmir and Kyne, while the Imperial Cult of Skyrim could be working to crush the Nordic Cult and that would be apart of their questline. The Nordic faith isn't an institution, like the Tribunal Temple or the Imperial Cult. The Nords practice their gods individually through their daily life, their acts of valor, and during festivals. Clever-men and shamans seek their counsel through the whispers of the woods, devotees of Kyne congregate in places of worship on the highest peaks, Dibellan maidens live in beautiful houses decorated with flowers and wreaths. The Dead Gods don't need temples, but are revered in battle as well as waiting times, known as The-Time-Between-Bloodshed. The Testing Gods are 'worshipped' by bashing in the skulls of their followers, be they Orcs or other rabble. The Nordic faith is very much alive, and the customs of olden times are kept most alive in the East. The Imperial Cult is mostly active in the West, where they work on spreading the good word to the savage Reachmen. In other places of Skyrim, they are mostly active to cater to foreigners. The relationship between the Imperial faith and the native Nordic gods, is one of mutual acceptance - my neighbour worships the same gods as me, although he's a bit wrong about some things. Sort of like that. The Talos Cult, as in the anti-Uriel Septim military conspiracy, isn't really active in Skyrim other than a few misplaced legionaires. They do have some contact with the Hörme rebellion though. Ah, I see. I just hope to see some people worshipping those gods becuase like I said; it is really missing in Skyrim. Do you think we could see a random quest where we could do something for the old gods? Perhaps we could see a preacher, like in Skyrim but less annoying, and do a quest or two for them. I'm just salty that you would only hear about those gods from bandits and not regular Nords. I think it would be even cool to see a Temple of Kyne or something in one town. Really, I just want some mention, even books, about those gods. I really like them and would like to see some trace of them in Morrowind. I'd also like to mention: I like the idea of festivals. I know you were just saying that would be when you'd see Nords worshipping them, but could there ever be holidays in Morrowind? Would you need something like OpenMW for that? It would bee cool to see a festival, even one that isn't directly aimed at the Nordic faith, and see people talking about them. I just really find the Nordic Faith interesting because it wasn't really in Skyrmi like it should've been thats why I would really like to see it in this mod. Don't worry, you will see plenty of Nords worshipping the Nordic pantheon, and plenty of temples as well.